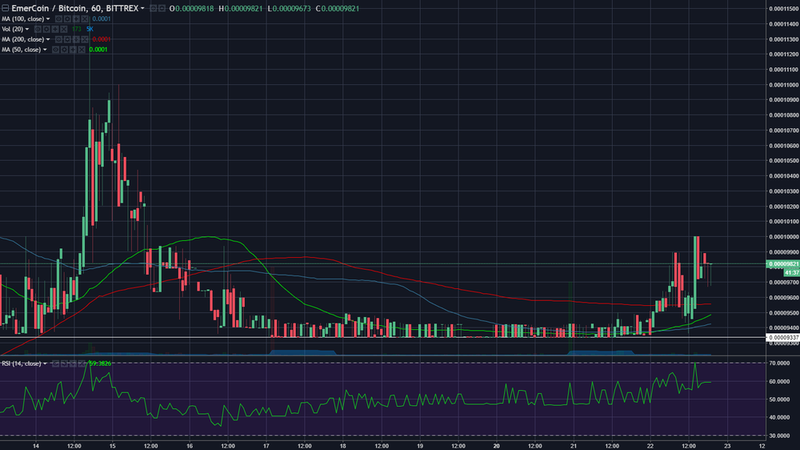 EMC/BTC has been consolidating for a few days around the 9400 satoshi level. During the 11/22 session, it pumped to 10,000 sats. I like a breakout from low volatility consolidation over a significant period. This case fits the bill.